Final Fantasy VII Remake is a strange beast. Announced at E3 2015, it was part of Sony’s 1-2-punch that consisted of The Last Guardian, Final Fantasy VII Remake, and Shenmue III. Interviews with the developers revealed that the game has entered some form of development in 2014, meaning it has been in development for 3 and a half years at this point. Developer comments over the last few months have been... confusing to say the least. 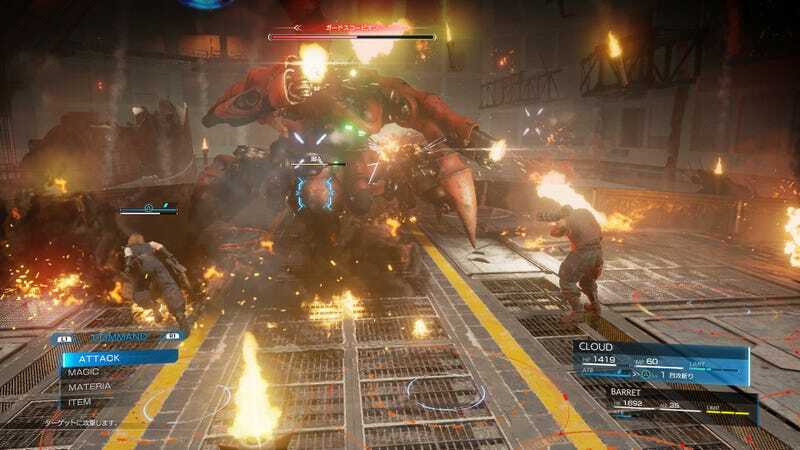 Director Tetsuya Nomura has stated that the game is a ways off from release, but that it’s in an advanced stage of development, and another developer on the project said that they were wrapping up voice recording in late February. Basically what that means is that the game is in a late stage of development and in that stretch where the release date is in sight, but the Director mentioned that it was still a ways off. Granted, this is Tetsuya Nomura we’re talking about, he’s known for working on projects indefinitely, a bit of a perfectionist I guess, but I find it hard to believe that the game still has so far to go when the voiceover, something that is usually done at the end since the requirements for it are complete, wrapped up a few months ago. That would also defeat the whole point of how the remake is being handled. Not long after the release of the games second trailer, Tetsuya Nomura announced that the remake of this beloved title would be split into multiple games. His reasoning was that Square Enix would not give him a large enough budget to fully remake Final Fantasy VII AND new content that wasn’t present in the original game, in a single installment. In order to do so, he would have to cut corners and cut content that he didn’t want to cut. So they decided to split the game into large chunks so that they could do everything they wanted, get separate budgets for each installment, and get the game into the hands of fans sooner. There’s no denying that Final Fantasy VII is a big game. The original release on PS1 was three discs(And that third disc was mostly FMV sequences if I recall. Could you imagine how many N64 cartridges they would have needed if they didn’t jump ship?) and if you tried to recreate that entire game world with todays graphics and open world style, that would take a long time to do and probably more disc space than a single Blu-Ray can hold. If you make it chunks at a time(Note: We’re talking enough content to feel like a full game with a sequel hook.) then that’s definitely easier to do in one sitting. But back to the original point of this article, it’s been making the rounds that Square Enix is hiring for some positions that are typically critical in the very early stages of development, and those positions just so happen to be related to Final Fantasy VII Remake. People are taking this to mean that VII Remake hasn’t even left the beginning stages of development yet. I can’t even begin to tell you how absurd that notion is(See everything I wrote above about just how far along the game appears to be. The fact they’ve been able to make another, full, unreleased trailer just goes to show that they’ve come quite a ways since the last one.). In actuality, those positions are likely for the second installment in the remake as it would make sense for that to start ramping up now that part one is speeding towards the finish line. Hopefully we’ll find out soon just how far along VII Remake truly is. I’m hoping to see that unreleased trailer at Sony’s E3 2017 press conference, preferably with a release date tacked onto the end of it.